"So I’m trying to get a little more organized this year. This is not a skill I was born with. I apparently create just fine in chaos. Unfortunately for my family – most of my chaos happens on the dining room table. 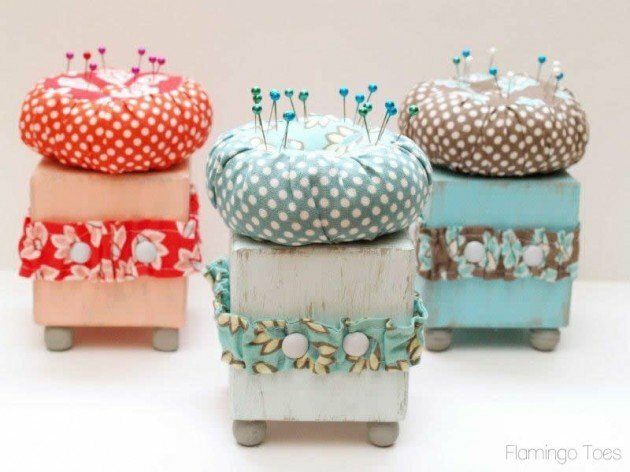 "So in order to try and speed up the clean up process – I created a cute little Sewing Tool Caddy. 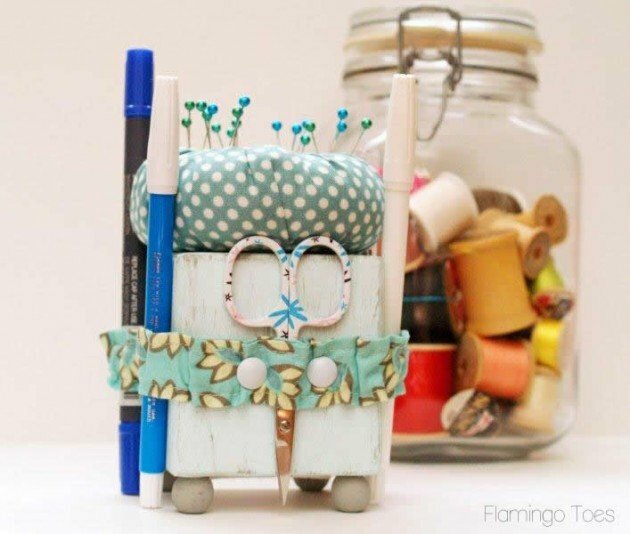 Here’s hoping that if I have a cute place I can slip my most-used supplies – I will actually… Put. Them. Away. I can dream right?"